Vicky Jennings is the Chief Executive Officer and founder of International Partner Solutions (IPS) including IPS Institute, a nationally Registered Training Organisation and IPS Talent Assessment Services incorporating Talent Dynamics – both organisations operate through a franchising model. 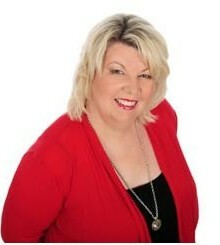 Vicky has over 20 years experience and several qualifications in adult education. She has held many senior positions in learning and development in government and various Industry Skills Councils. She has lectured at university in undergraduate and post-graduate adult education programs and has become a very successful entrepreneur in this field when she launched her first company in 1998. IPS Institute offers 45 nationally accredited qualifications in the areas of business administration, leadership, civil construction, aged care, hospitality, training, facilitation and competitive manufacturing. Many of these qualifications have government funding behind them making it very attractive for clients. IPS Institute currently has 14 campuses throughout Australia and growing. Vicky was introduced to Roger Hamilton and Wealth Dynamics in 2006 and has implemented these remarkable strategies into her own businesses, experiencing rapid growth since that time, now having a national presence in Australia and looking to expand further into international markets. Vicky is now wanting other businesses and government agencies to experience this success through IPS Talent Assessment Services and Talent Dynamics. Not only is Vicky a Talent Dynamics Performance Consultant, she is also Master Trainer for Talent Dynamics in Australia offering Talent Dynamics Flow and Performance Consultant Accreditation Programs.